Thank your colleague for being so helpful with this funny ecard with a message "Thank You For All Your Hard Work." 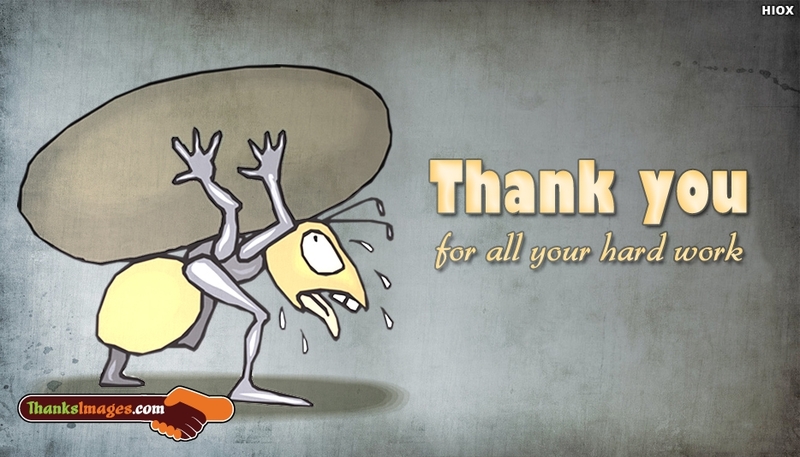 With this thank you ecard let your colleague know that he/ she is deeply appreciated. A simple and elegant ecard to say thank you.